home/ » WHICH ARE THE BEST ROOF TILES TO PROTECT FROM VANDALISM, DAMAGE AND EXTREME WEATHER? WHICH ARE THE BEST ROOF TILES TO PROTECT FROM VANDALISM, DAMAGE AND EXTREME WEATHER? There’s nothing worse than noticing damage to your roof. Perhaps there’s been some extreme weather that has thrown debris around and the roof tiles have cracked? Maybe someone has attempted to vandalize your home and caused damage to your property? 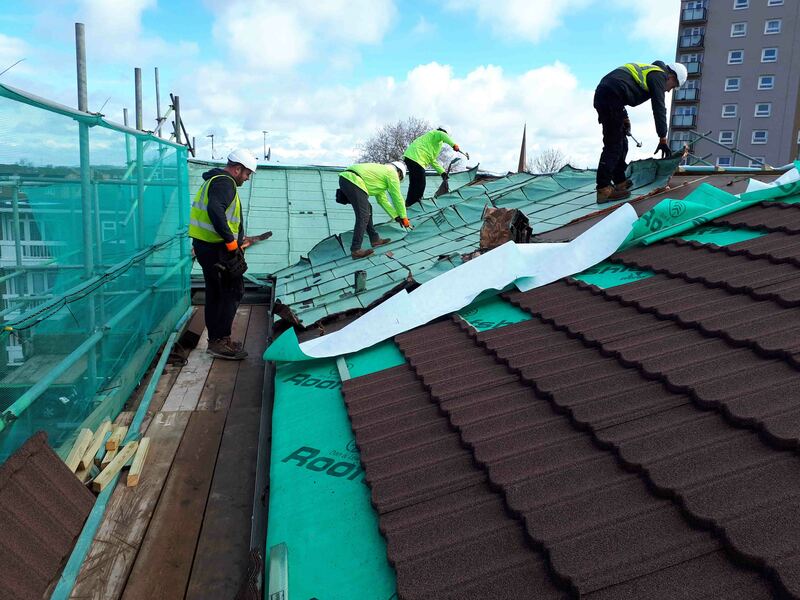 Whatever the case, when there’s damage, you often consider if the roofing materials you have are the best for the job – but what are the options? There are plenty of options for roofing and many of them have been in use for centuries. All have their benefits, but also considerations. Clay comes in a lot of different colours and you can get intricately detailed tiles and those made to give visually stunning effects. They have a long lifespan, but the UK weather can hit them hard. The freezing and thawing cycle is the worst culprit and when standing on clay tiles to do maintenance, there is a big risk that they crack underfoot. Slate is another conventional material in the roofing market and has the benefits of natural stone – it lasts a long time with a great aesthetic. It is much heavier than other roofing options and this means it needs a much stronger roofing structure to support it. Slate needs special nails and systems to fix it into place that can make it more expensive to install. Concrete roofing is a more modern addition that has some benefits, being a budget friendly option with a wide range of styles. You can get concrete tiles which naturally fit in with the rest of your property, but they don’t always have the weatherproofing levels or longevity of the styles they imitate. If you are facing roofing problems, these traditional roofing options are there to be considered. But there is another newer, modern roofing option that should also factor into the decision-making process – lightweight steel tiles. Metal roofs have been around a while – most of us will think of corrugated steel roofs as the typical example. But the new steel tile styles are a long way from this idea. Lightweight steel tiles come in a wide range of colours and styles that can look like many other types of roofing. An easy installation process mean you can cut down on installation costs. They also have the highest possible external fire resistance rating and a 40-year weatherproof guarantee. There are lots of options for roofing tiles and all have their benefits. However, lightweight steel roof tiles offer the best protection from vandalism, damage and extreme weather while still offering the right look to tie in with other parts of your house. Metrotile are a top supplier of lightweight steel roofingthat is suitable for everything from large-scale projects to re-roofing a conservatory or extension. To find out more or request a free quotationget in touch with us by calling 01249 658 514 or fill out our contact formfor a quick response.